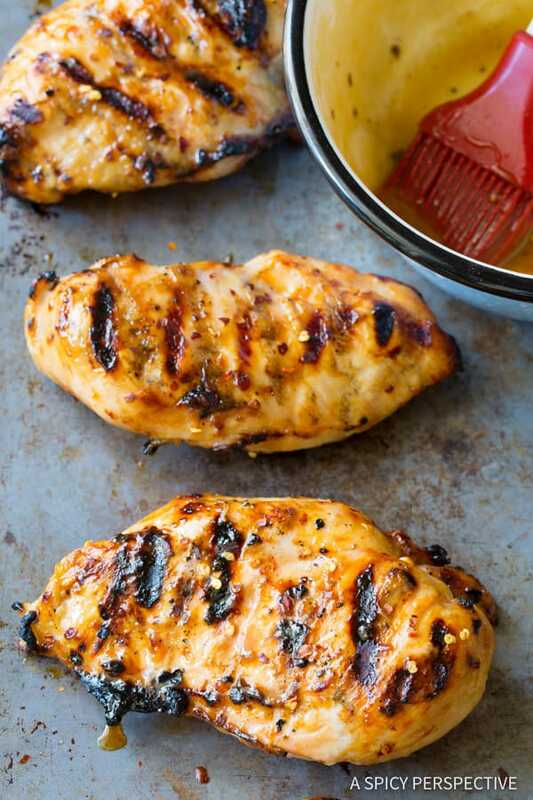 Crusty juicy Miso Honey Chicken, a simple healthy recipe for quick mid-week meals. Summer is just around the corner and I cannot wait for grill season! We grill all year long. Yet in the summer, grilling is our primary source of cooking. In fact, 4-6 nights a week our dinner comes off the grill. I stash chicken, fish, and pork chops in the freezer through the warm months to thaw and throw on the grill at a moments notice. There are so many ways to season protein, I never get tired of grilling. Today’s Miso Honey Chicken is a recent discovery I made while cleaning out the fridge. I had a tub of aromatic white miso paste in the back of the refrigerator with just a little left in the bottom. I thought I’d try using it in a glaze for grilled chicken to free up room in the refrigerator. White miso paste has such a lovely floral fragrance and salty note, I knew it would pair nicely with honey. 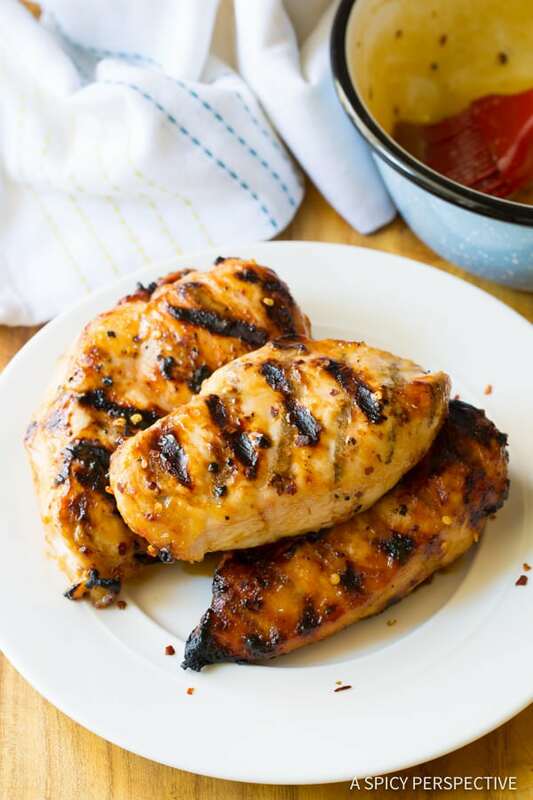 After whisking together a quick glaze of honey, miso paste, sesame oil, and crushed red pepper, I brushed it over chicken breasts and threw them on the grill. The honey and miso created a fabulous crusty exterior with a salty-sweet caramelized flavor, that sealed in the juices of the chicken. Grilled perfect in my mind! My impromptu Miso Honey Chicken was so good, I knew I had to share it with you right away so you can enjoy it all summer long. 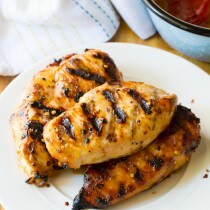 Miso Honey Chicken, a grilled chicken recipe with vibrant savory-sweet flavor and a crusty exterior. Preheat the grill to medium heat. In a small bowl, whisk the honey, miso paste, sesame oil, and crushed red pepper together. Taste and salt if needed. *Some miso pastes are extremely salty. With mine, I added about 1 teaspoon of salt. Place the chicken pieces on the hot grill. Brush the miso paste over the tops of the chicken pieces. 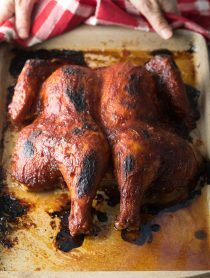 Grill for 5 minutes, then flip and brush the remaining paste over the grilled chicken. Grill another 5 minutes until the chicken is cooked through. Serve warm. 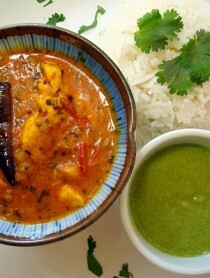 Very, realy very nice recipe! Thank you. Love this, it tastes absolutely delicious. Tried this last night and my son was asking for more. So Thanks for this incredible recipe, will make there more often. Great dish, made it with Jasmine rice and grilled broccoli. My family really enjoyed it. It’s really simple and delicious recipe. 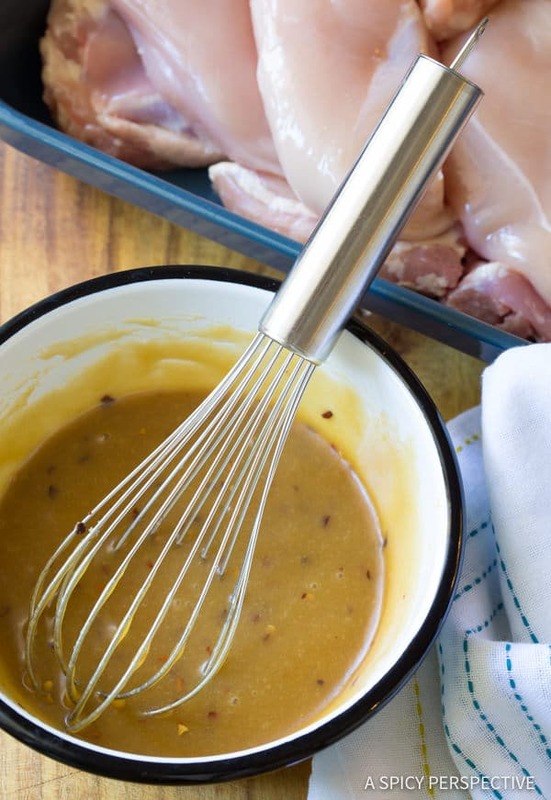 My kids love chicken and I think they will be loved this. I have question- can I use sous vide machine? Thank for the yummy dish. 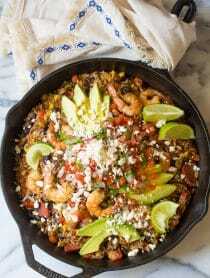 Love the simple flavors of this dish! Simple flavors area lways best in summer!! I can’t wait to fire up the grill for this! Look so delicious!!! perfect for weeknights! 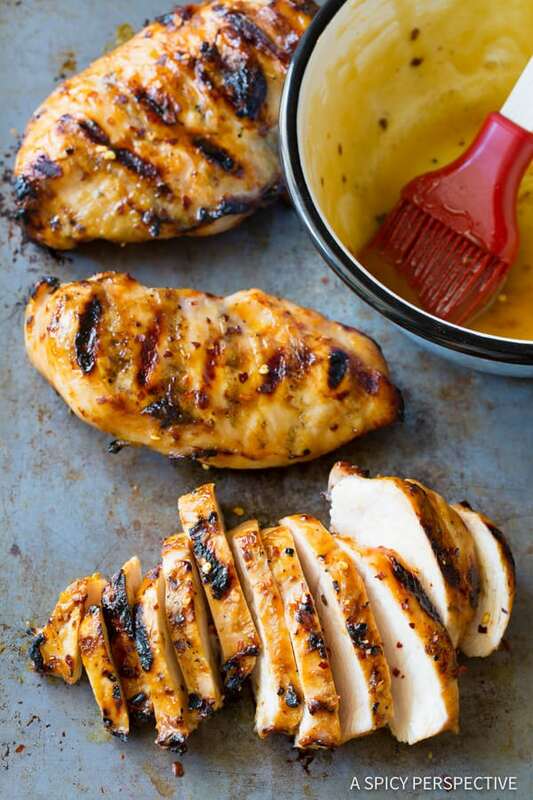 My kiddos will LOVE this chicken! 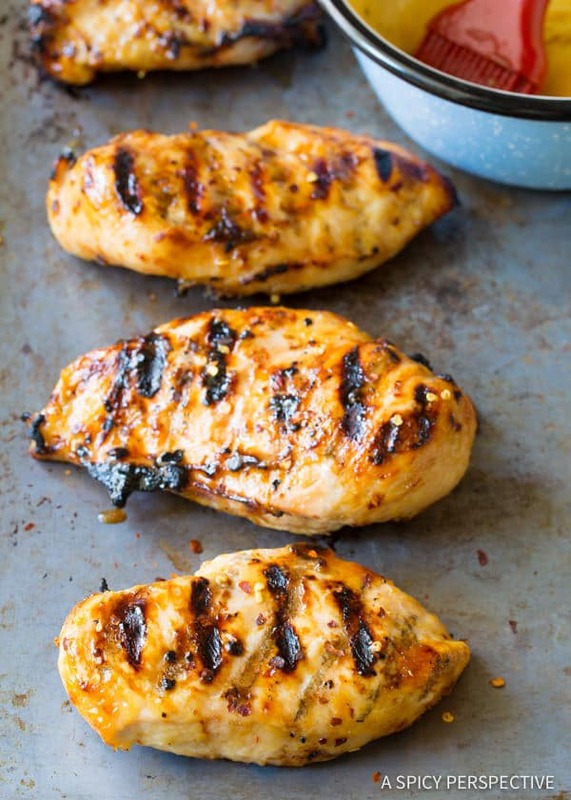 Josh loves grilled chicken and he will love this recipe! I just ordered some white miso so I will definitely try this recipe. Thanks! 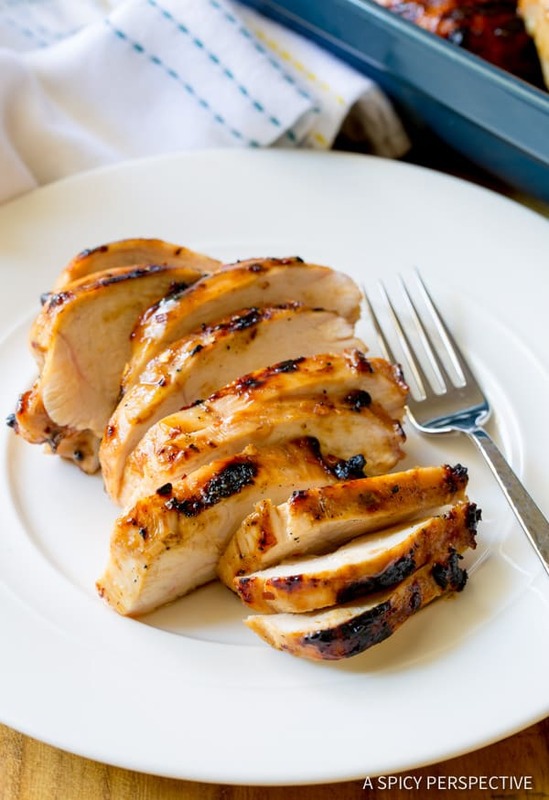 I am always looking for more chicken recipes, especially if they are easy. This looks great.